Web design, web engineering and web development encompasses many different skills and disciplines in the production and planning of websites, online interactive applications and cloud based software. The web design as a superdiscipline include web graphic design; interface design; authoring and creative writing, software engineering and coding, user experience design; and search engine optimization. The A’ Web Design award, is therefore a multi-disciplinary design award category that focuses on the broader web design definition of web development. The Web Design category is open to submissions of websites, cloud based software, online applications, web pages, widgets and applets realized by companies and design studios worldwide. The A' Web Design Award is the indicator of quality and perfection in web design and development, the award is recognized worldwide and takes the attention of design oriented companies, professionals and interest groups. 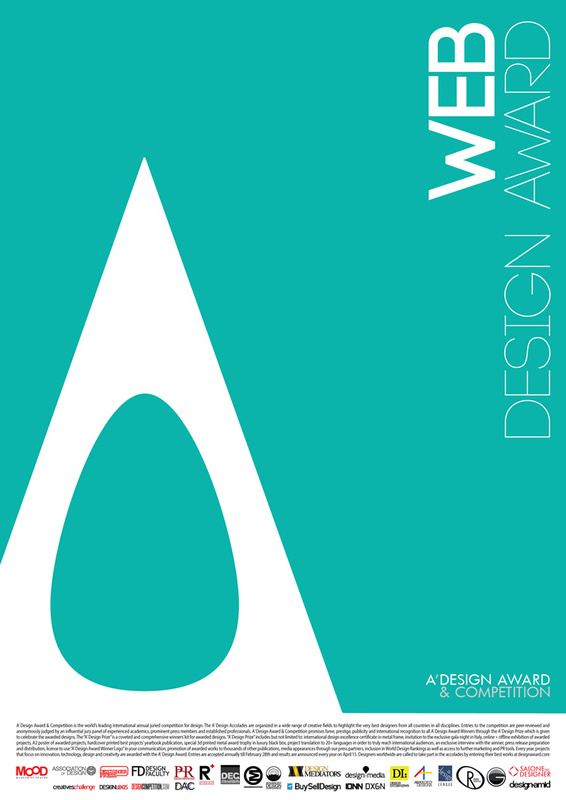 Winning the A' Award is a certificate of excellence for designers, an important milestone in your career. Having the A' Award attracts the eyes of design oriented companies worldwide, winners will be able to find better and higher profile jobs & sales leads, and get a step ahead in their life. 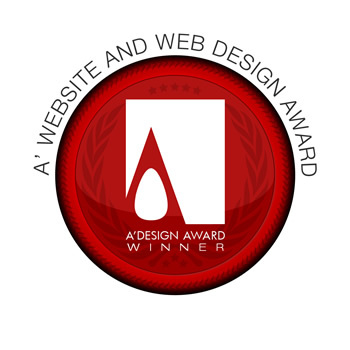 The winners of the A' Web Design Awards are provided extensive and exclusive marketing and communication services to promote the success of winning the A' Award. Furthermore, the winning designs appear on the A' best designs yearbook which is available worldwide, this book is furthermore distributed to the high-profile magazine editors, design oriented companies and relevant parties to help dissemination of award winners. The winning designs are also exhibited at our exhibition in Italy, and the best designs will be picked for the permanent exhibition (Special digital equipment is present to showcase webdesigns and videos are also showcased). The web design winners appear on magazines, newspapers, webzines and many other publishing mediums. Winning the A' Web Design Award gives added value to your projects and separates your brand from the rest of web developers who provide commoditized services. Winning the A' Web Design Competition is an excuse to communicate your brand to the media, a reason for press releases. When submitting to the web design awards, keep in mind that your submission will be evaluated based on the available demo and the images submitted. Your web design is judged together with its content and appropriate for the audience. If you wish your award winning entry to be exhibited in Italy, please also remember to upload a video (can be done after awarding, but could provide better insights to jury if it were to be uploaded earlier). For this category, the URL address of the website shall also be provided. In your application, please also include information regarding the purpose, target audience, objectives, technical features, usability, special features and challenges regarding the web design project. The best web design projects are considered for their overall experience through focus on aspects such as: content, structure and coding, navigation and user-flow, visual/graphic design, functionality, interactivity, and accessibility. Unlike some other design awards and competitions, you are not obliged to make any further fees for winning the A' web design award and everything listed in the winners benefits page will be provided free of charge. The Aim of the Web Design Award is to attract the attention of design media, magazines, and industry leads to your business by means of creating publicity and dissemination through awarding and also to separate you from the rest of the actors in the web development sector by honoring your institution with a prestigious award. 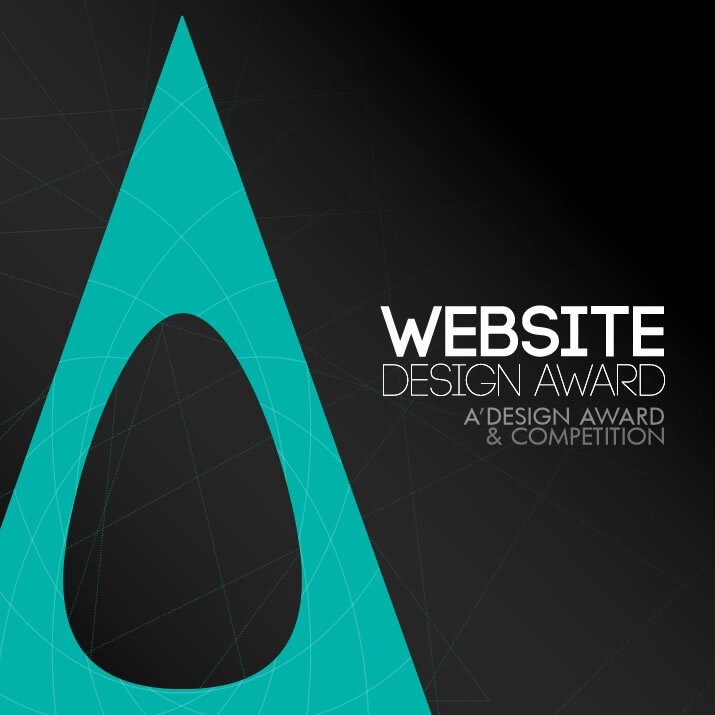 Award winners will be able to use a title that matches their nomination category: Such as "Website Design Award Winner". View previous period web design award winners here. Main Image* 3600 x 3600 pixels JPEG The poster of the website designpositioned on clean white background, centered horizontally, should fit vertically, if the images are small shall be made by key frames or different phases. If there is a vector source, scale-up the initial design instead. It could be good to place the website in a nice looking monitor depicting modern age. Optional Image #1 1800 x 1800 pixels JPEG 9 Key frames from the interface, showing some important views and phases, preferably divided into 600 x 600 pixel boxes with 5px padding. Alternatively, a different view of the webpage on a different device. Optional Image #2 1800 x 1800 pixels JPEG Storyboard of the interface, clean illustrations showing how the interface interacts or transforms, or a screenshot of the webpage in a different device. Optional Image #3 1800 x 1800 pixels JPEG Further images and sections of the website, certain functions or notes. Alternatively, an action shot, where a user interacts with the website design. Alternatively, yet another screenshot from the webpage, from a different section. Optional Image #4 1800 x 1800 pixels JPEG A composition of some other views' from the website interface, showing the most important views and scenes, alternatively an infographic presentation of features, or yet another view or screenshot. Documentation Max. 40 x A4 Pages PDF Explaining technical aspects, transformation details and phases, commercial presentation or other notes about the web design, also a screenshot could be submitted as a long PDF for those web pages that scroll. Link Shortened URL URL If possible, a link where we could actually see - test the actual website or application, you can provide two types of links: public and for jury only. 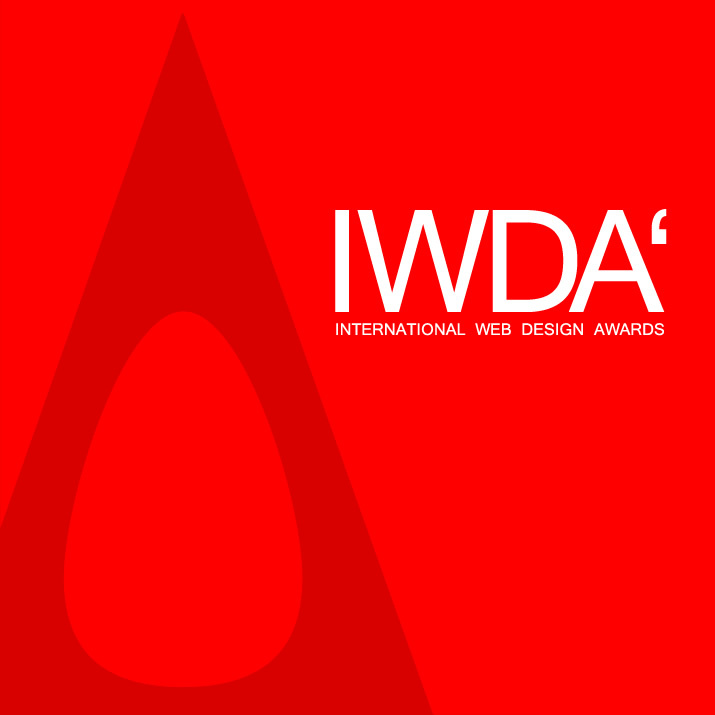 IWDA - The International Web Design Awards, is a major design award category part of A' Design Awards & Competitions. Enter your web design projects for fame, prestige, publicity, credibility, and international recognition & awareness.